This bracelet is pure diamond luxury. 13 natural fancy yellow cushion cut diamonds weigh 10.5 carats and are paired with 13 stunning princess cut white diamonds totaling 3.55 carats. The construction of this bracelet is superb. The natural yellows are surrounded in halos featuring 3.50 carats of brilliant diamonds. 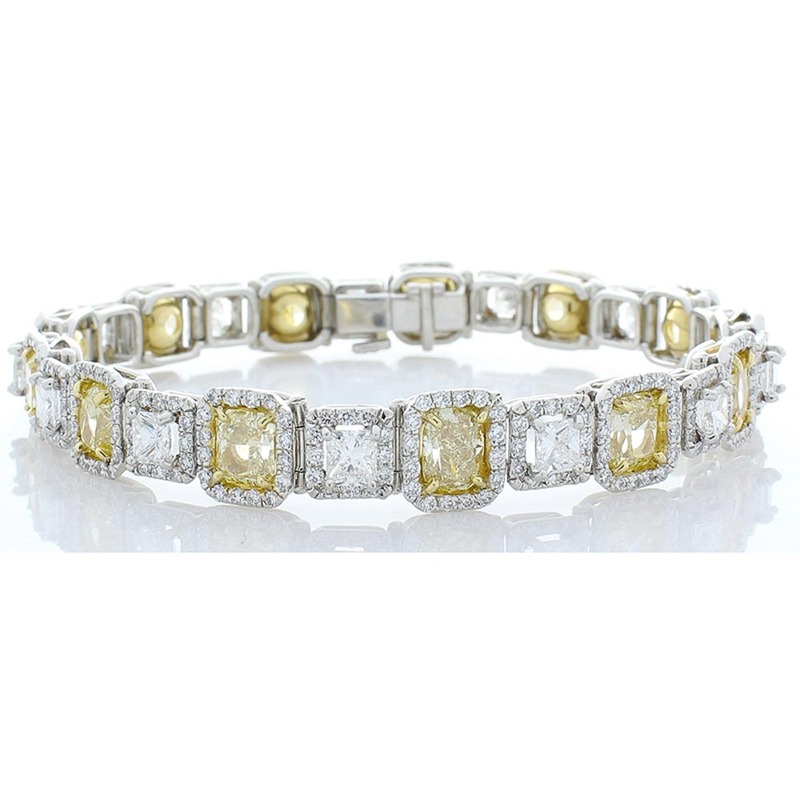 The sparkle and color pop of this platinum & 18k yellow gold bracelet is simply amazing.